Time again to take a look at what's been happening at Stan over the past week. Some great TV has just made its way to Stan, and it's probably fitting to start with the somewhat underrated SGU Stargate Universe. It was Stargate's attempt to reinvent the franchise, to inject a bit of realism into the traditional Stargate formula. It kind of worked, and the show had a lot going for it, but poor ratings and Stargate fatigue ultimately led to its cancellation. You can stream both seasons of the show right now. The complete Black Adder/Blackadder series has also just been added to Stan. You can now stream The Black Adder, Blackadder the Third, and Blackadder Goes Forth on Stan, and that's some of the best of British comedy right there (and nothing like Mr. Bean even if Rowan Atkinson is in it). I don't know what my favourite season is, but it's either 'Blackadder II' or 'Blackadder Goes Forth' (particularly the last moments of 'Forth'). There are also new episodes of The Bold Type (the first episode of season 3, with new episodes coming every Wednesday), and also a new season of Wolf Blood (season 3). Still pretty quiet in terms of movies, but there's a big new release thanks to Stan's deal with Disney. 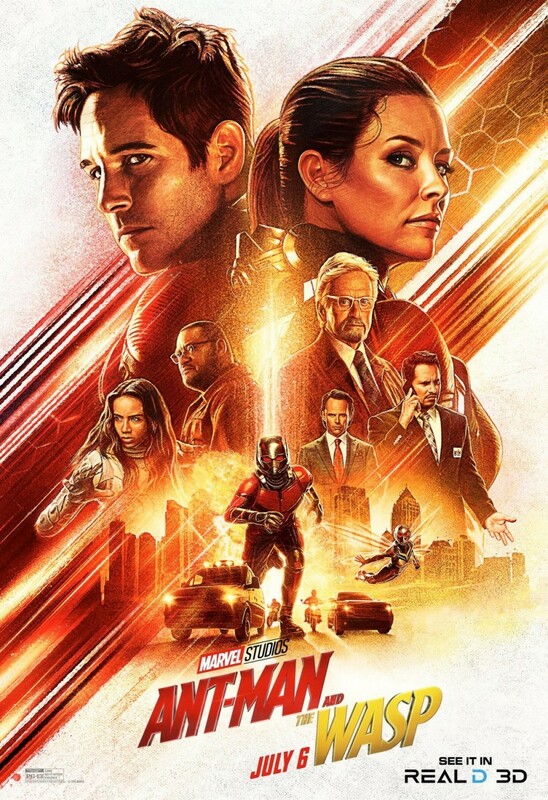 Ant-Man and the Wasp is a very fun movie and while it's a standalone movie, those that have watched 'Avengers: Infinity War' and are looking forward to 'Avengers: Endgame' should watch this movie, especially the end credit scene. The other two recommendations belong to World Movies. Denmark's A War is about the war in Afghanistan from a non-American point of view, and that's interesting in itself. There's also Slovakia's The Teacher, about the choice between standing up for your beliefs or letting things be because of the inherent dangers in communist-era Bratislava. Intriguing.